Tim did an excellent job. There were several weather related delays and he kept me informed. Very happy with the result. 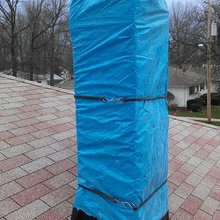 Bought a home with a neglected chimney, these guys did a great job of repairing/restoring it and even helped by taking some pictures of the roof while they were up there! Thanks again!! Enjoyable company to work with. They were very punctual and showed up on time for all meetings and responded to emails and phone calls appropriately. The work completed was wonderful. Group of guys took pride in their work and cleaned up after all was done. 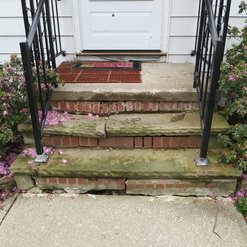 Would definitely recommend them for any and all masonry projects and will definitely call them again when its time to tuck point the house. North Coast Masonry comes highly recommended by me. They are punctual, respectful, friendly and do beautiful work. I would choose them again. 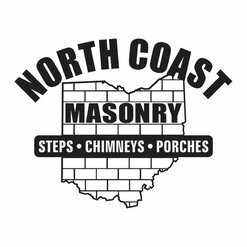 I've used North Coast Masonry twice. 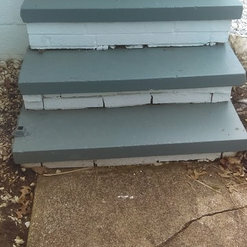 Once to replace/repair the steps on my 1928 home (they did an excellent job regarding both quality of workmanship AND matching the original materials), so I used them a second time for chimney tuck point and adding caps. They were able to accommodate my project's urgency, as a raccoon was beginning to take interest in sharing my home with me. 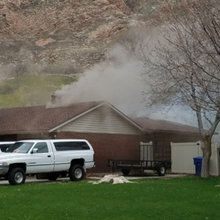 They took care to ensure the animal was out and chimney free of debris before capping it off. All around great experience working with this company. I read numerous reviews before deciding to allow North Coast to make major repairs to our chimney. Boy were the reviews dead on! Tim and son are amazing. Professional individuals. They have taken the trade of tuck-pointing and made an art of it. 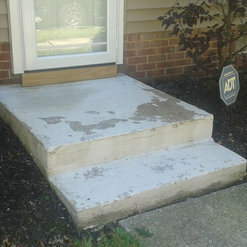 They respect your property and are very tidy in cleaning up after the project is completed. 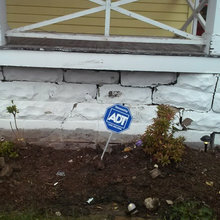 I would recommend them to anyone and I would not hesitate in bring them back to our house for further repairs. 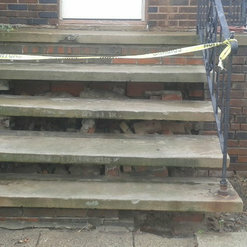 I inquired regarding an estimate for masonry repair around our home. Within a week, I had a detailed, descriptive estimate in my email after a visit. The price was right in-line with the other estimates I received. A few weeks later, I had the work done. North Coast Masonry arrived early in the scheduled date and finished in a timely manner. Their work looked superb. They also went the extra mile and kept the areas around the house clean, even hosing down the area to keep the dust to a minimum. 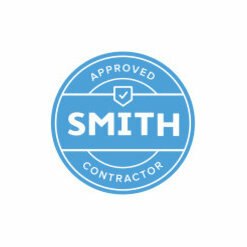 I'll definitely be looking to hire them again if I need any more work done. I found Tim of North Coast Masonry to be both professional and friendly. The work they did was exceptional! Would hire again. North Coast Masonry did an excellent job. 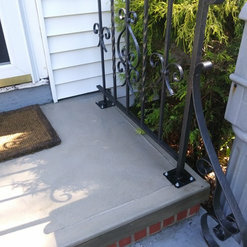 This is the second project we've hired them for. Will be using them for future projects! 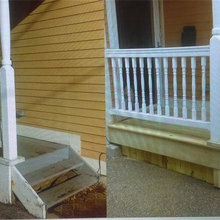 The work Tim and his crew completed on our front steps exceeded our expectations. 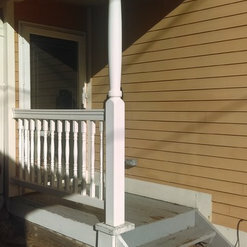 Communication was clear, workmanship was exceptional, and the price was more than fair. 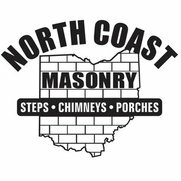 It was an overal great experience and I would highly recommend north coast masonry. Very good work; good craftsmanship, I would definitely call them again for next project. On time and very professional and courteous. 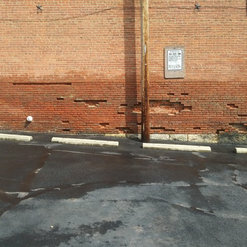 Would recommend to anyone who needs masonry work done. 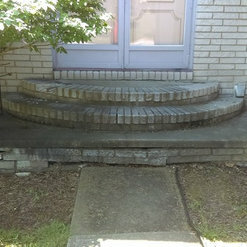 Had them out to do tuck point work on my house and repair the front steps. They did great work. 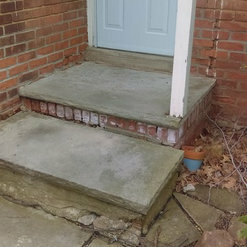 Especially with the steps. They were in bad shape and now they look like new. 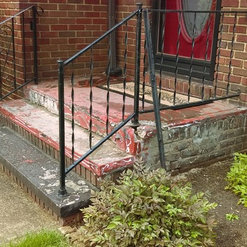 The color match with the old mortar is almost exact.